Ava wins W.B. Yeats Among School Children Competition! 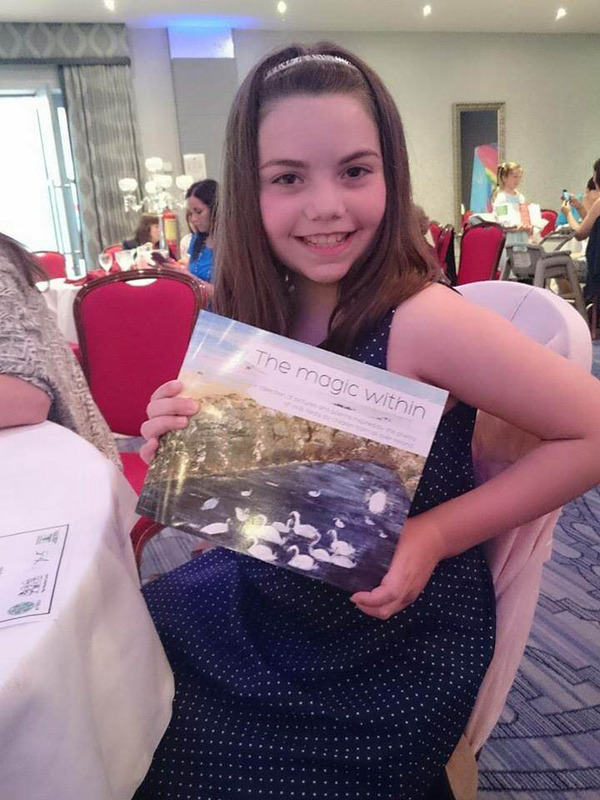 The Magic Within, a new book by primary school children inspired by the poetry of W.B. Yeats, was launched on June 12th, at the Clarion Hotel Sligo, the day before Yeats’ birthday. This publication is part of Yeats2015, a yearlong programme of arts and cultural events and one of Ireland’s official decade of commemorations events. Ava attended the launch with her mother Sharon and uncle Jamie. Well done Ava, its a huge achievement.